Our firm is a foremost name, involved in providing a diverse range ofStainless Steel Water Tanks. Experts use the advanced techniques to develop this product as per client's demand. Specification and Capacity of the product. 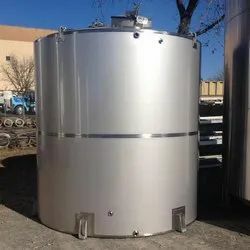 We are among the reputed organizations, highly engaged in manufacturing an optimum quality range of Stainless Steel Tank.